Always the best value for your insurance dollar! Welcome! 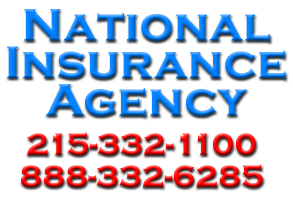 Our insurance agency in Newtown, Pa, provides insurance services for homeowners, automobiles and business insurance in Newtown, Pa. We also provide auto insurance, business insurance, and home insurance in Doylestown, PA, and the surrounding area. Why Us An Independent Agent? 30 years ago, Michael English formed the National Insurance Agency .He believed that there was a need for an independent insurance company that could offer not only the best value...but also the very best in customer service. Complete insurance services, for any personal or commercial insurance need. We'd be glad to help you better understand what you may need with the customer service you deserve. Our team's 57 years of collective experience is your best ally when deciding upon your insurance needs. We're an independent agency representing over 20 insurance companies. We welcome your call to help you better understand your insurance needs. Never any obligation, of course. © 2018 NATIONAL INSURANCE AGENCY, INC.